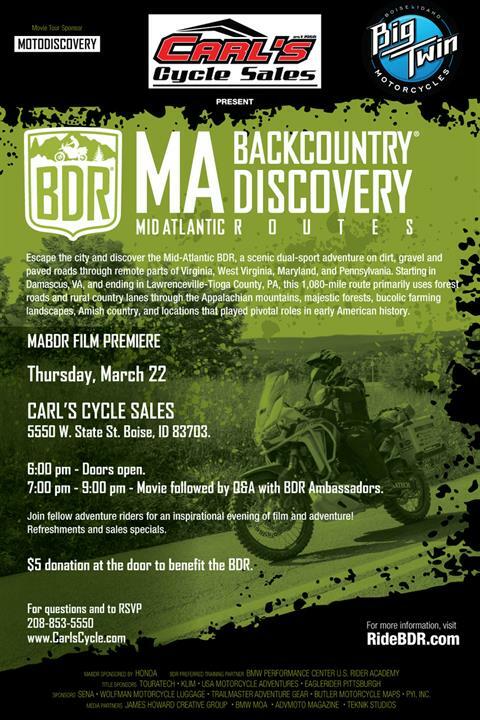 $5 at the door!~~~ Into the Horizon, Big Twin BMW and Carls Cycles will be presenting the MABDR for your viewing pleasure! 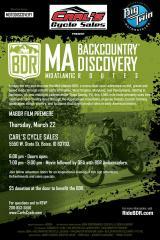 From the BDR website: MABDR is a scenic ride for dual-sport and adventure motorcycles that uses dirt, gravel and paved roads to wind through remote parts of Virginia, West Virginia, Maryland, and Pennsylvania. 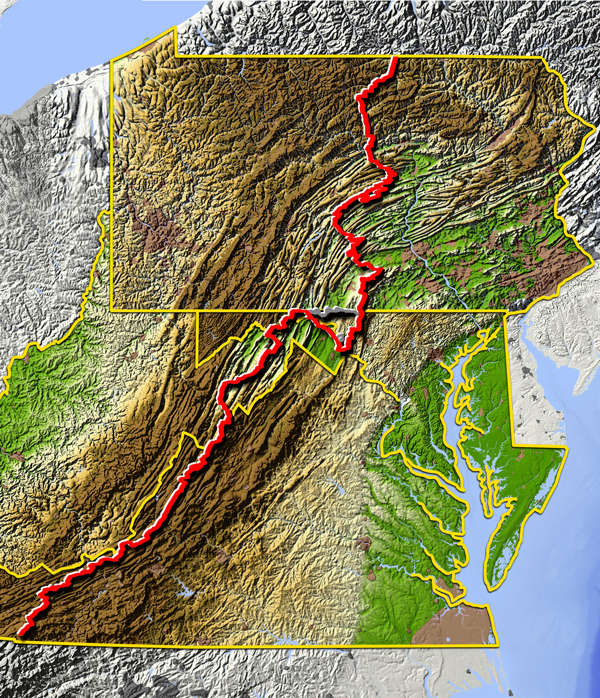 Starting in Damascus Virginia, and ending in Lawrenceville, Tioga County, PA, this 1,080-mile route, primarily uses forest roads and rural country lanes, to lead riders through the Appalachian mountains, majestic forests, bucolic farming landscapes, Amish country, and locations that played pivotal roles in early American history.